Yes, I know that this vintage is getting hard to find the parts. I am looking the blank key for my 1967 Suzuki b105p "Bearcat" too. There are a few on EBay but it's not fit the model year. I'd appreciate it if someone can give me a clue where to find the parts. Thanks. I recently bought a '67 Bearcat as well and have been searching high and low for an owner's manual, as mine is all original but didn't come with that. Any luck making a PDF out of yours? I know this is from years ago but figured it couldn't hurt to try. I'm needing to replace the baffle, as mine rattled loose and fell out the back while riding, gone forever. No idea what size to order. Do you still have parts? 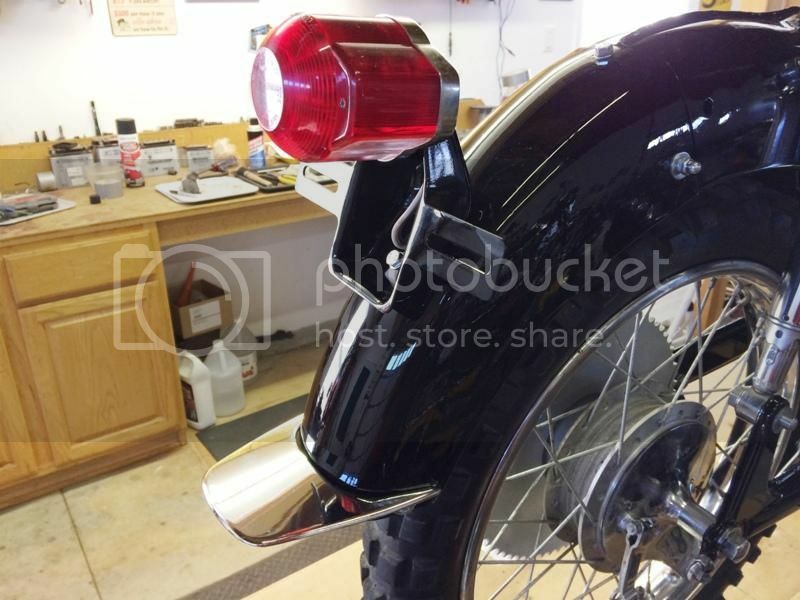 I'm looking for the small chrome fin that goes along the rear fender. I just restored a 1967 B105p last spring and there is no chrome fin on the rear fender. Are you referring to the chrome mud flap? If so I may have on that will get you by, but I replaced it with an NOS one. Last edited by Rizingson; 05-15-2016 at 07:19 PM. Suzuki KT120, Suzuki TC120, Yamaha TW200, Honda Z50a, Honda ST50, Yamaha Grizzly, Suzuki Kingquad. Hi, I am new to the group and looking for a seat for a KT120 hoping someone out there has one.